← Young Hackers At Work. So I bought a couple of these cheap, cheerful chargers from Meritline. 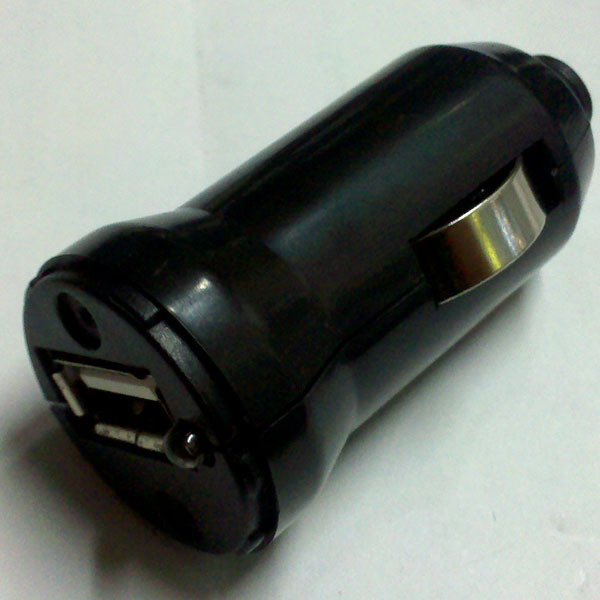 The tagline says “Black Mini USB Car Charger for iPod Nano/Touch, iPhone 3G/3GS/4 and Other USB Powered Products. One might assume that a USB charger is a USB charger. Ha ha ha, unfortunately not when Apple products are involved. OK, so let’s open the thing up and see what’s wrong with it. Alright, so here we have the important bits. 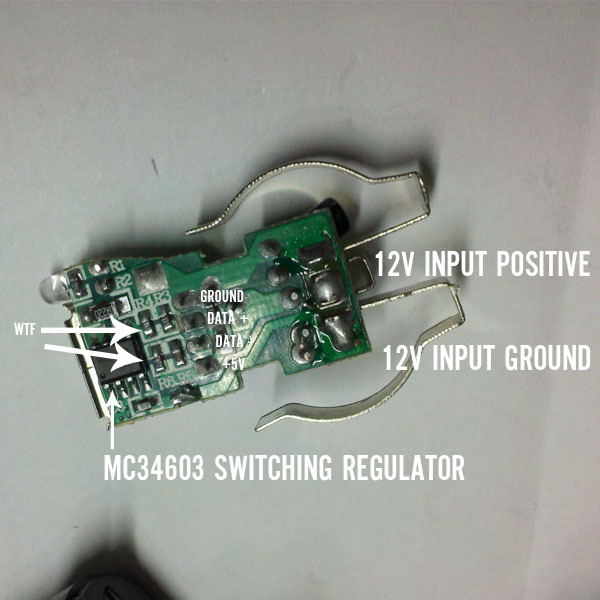 An MC34063 switching regulator (datasheet, great article on hacking it and changing the output voltage for different projects), the usual voltage in/out stuff…. but HEY, what’s that resistor network across D- and D+? 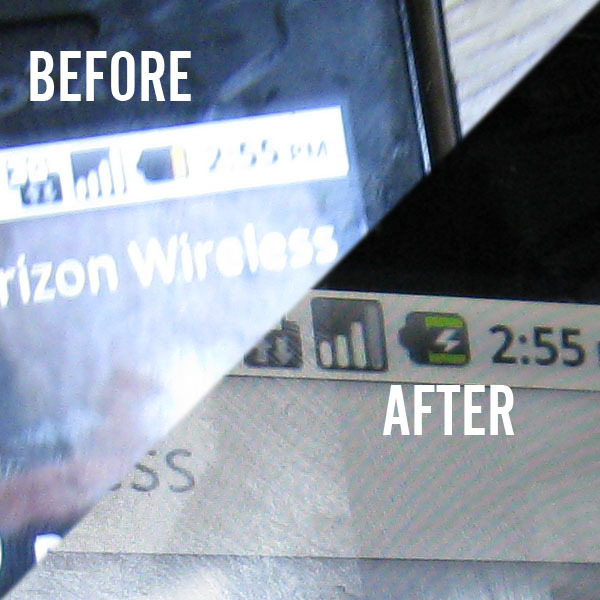 It reminded me of this post by Ladyada, where she detailed the “secrets of Apple charging”. Of course, being Apple charging it is different than everyone else’s charging in a way that breaks the whole freaking standard. The standard calls for D- and D+ to be shorted together for full current, or for a resistor with max value 200 ohms to be placed across them. 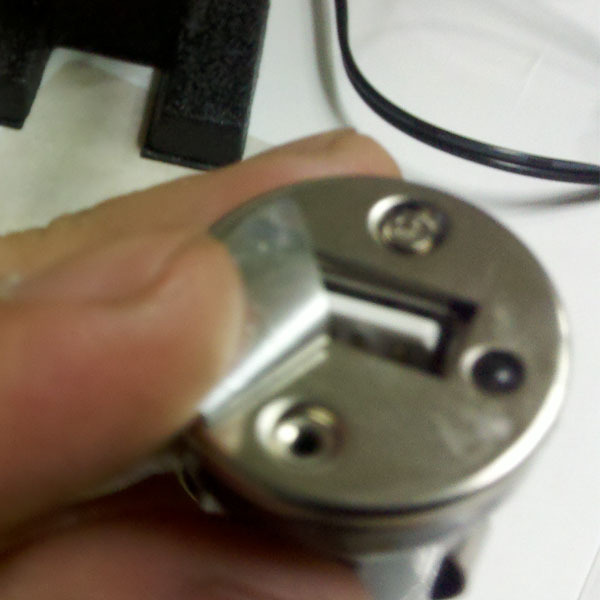 Get out your fighting knife and cut that wretched resistor network off the D- and D+ pins. Take a blurry picture. Solder a resistor across the two contacts. I’ve found that shorting the two contacts occasionally causes old devices to freak out, so it’s good to use a small resistor. I chose 100 ohms, halfway between spec max and min. 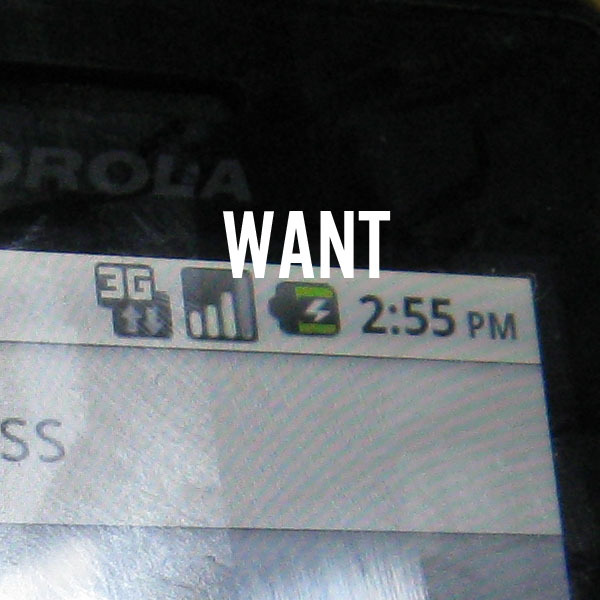 Check that your charger works. Oh, yeah, it does, because you’ve un-Apple-fied it. Making things like USB chargers non-standard has far-reaching effects — consequences that reach even non-Apple customers. In this instance, the modification was easy, but that is increasingly not the case. 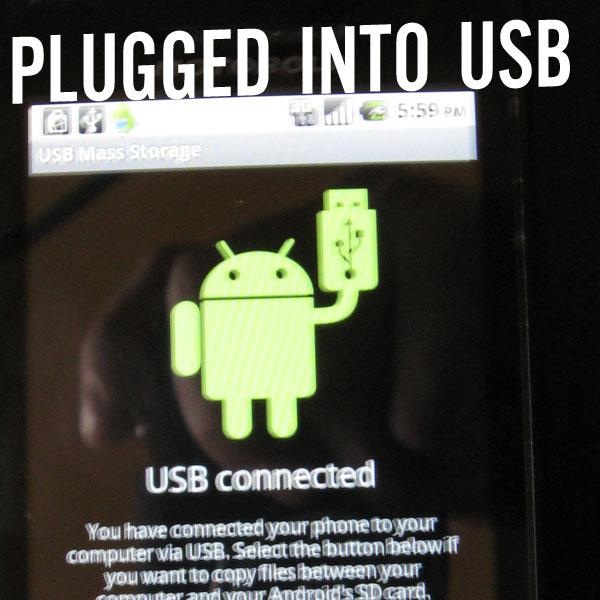 13 Responses to De-Apple-tize Your USB Phone Charger. Great fix man. 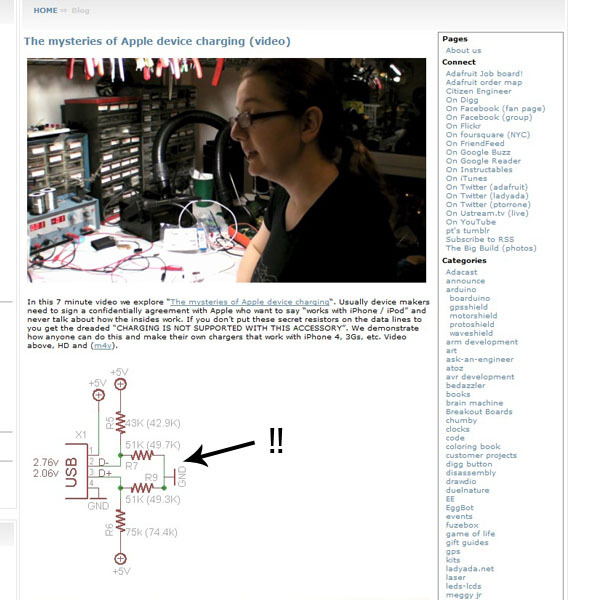 One more reason to support Open Source hardware when and where it can be found. Actually if you bothered to read the ladyada article you’d understand the “apple” standard is a real standard that existed long before the short the pins and be done with it standard ever existed. If you ever owned a nokia or motorola phone and got the “this charger is not supported” message you’d understand. It’s actually much better than the brute force go for all approach because the charger can specify how much current is available. Hey there poodyp/Evan. If I may also suggest some reading please check out the part where I refer to the micro USB charging standard above. Flame on, darling! Did you just cut a groove in the board? Yep. 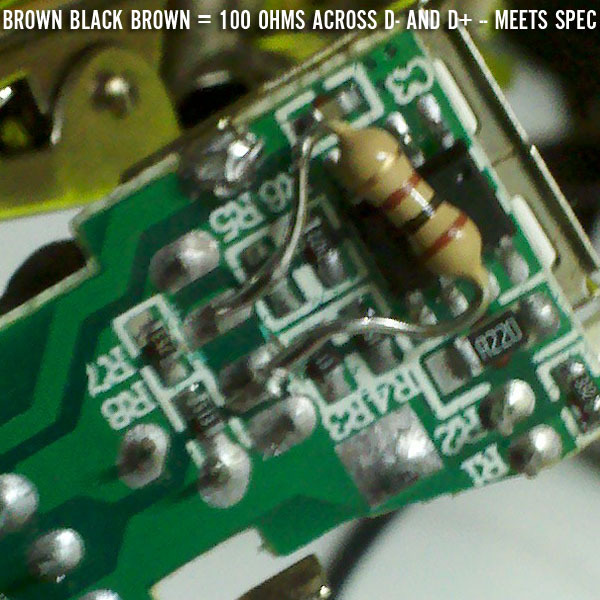 You can kinda see it in the last picture, just below the bottom-most lead of the resistor I installed. Ok thanks. I just heated them up and pushed them off with a small screw driver and soldered the data pins together. My Garmin Nuvi doesn’t think it’s being plugged into a PC anymore but it doesn’t power off automatically when the power is removed. 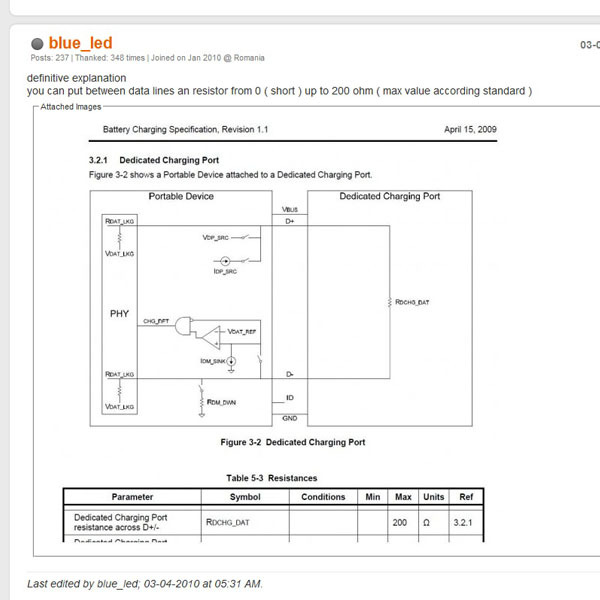 Sooo I’m gonna have to figure out what makes the Nuvi charger and mount so special. Alright should this ever come up in someones google search hopefully they find this bit of information useful. 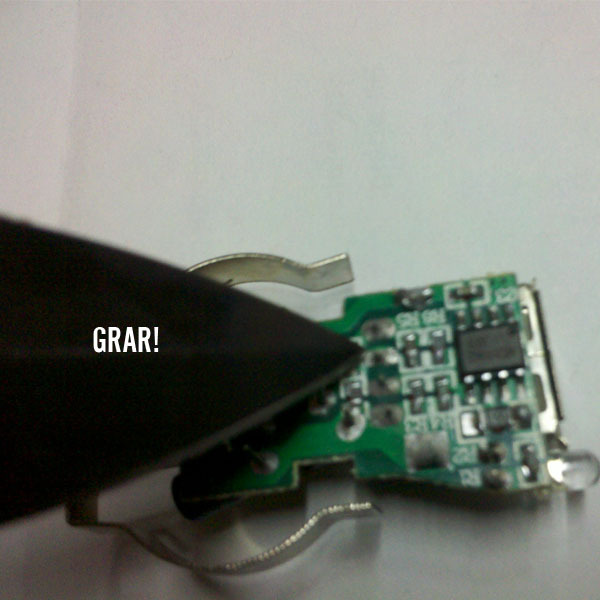 If you use the USB Mini A jack on the bottom of your Garmin it will not auto off when the power is cut. If you use the USB Mini B jack on the back of the Garmin mount it will auto off when the power is cut. 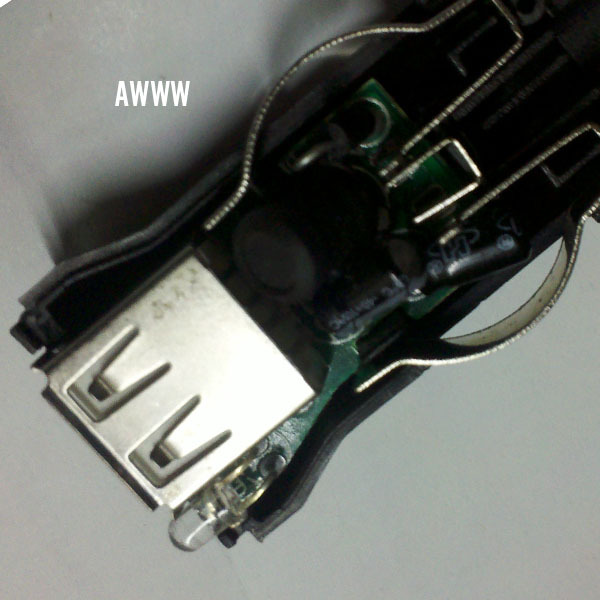 Purchase a 90 deg USB to Mini B cable and use the stock mount and you should be good to go. Thanks for reporting back, Pontiaku! 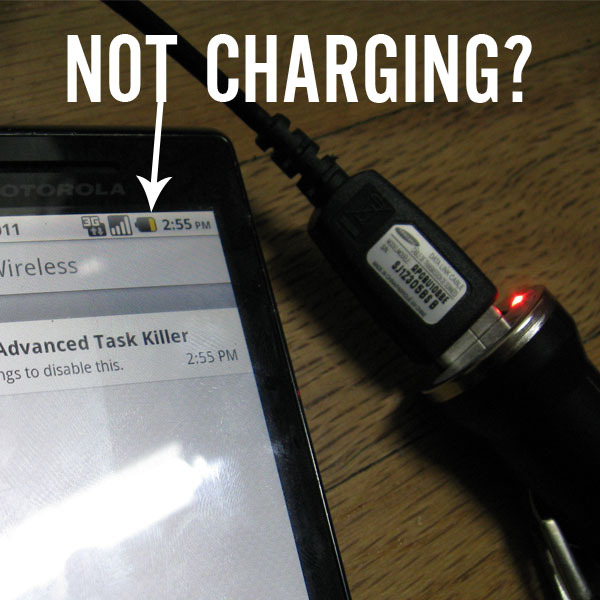 Just so you know, that charger is mislabeled. It says 1000mA, but based on the pictures, its impossible. There is no external mosfet switch. 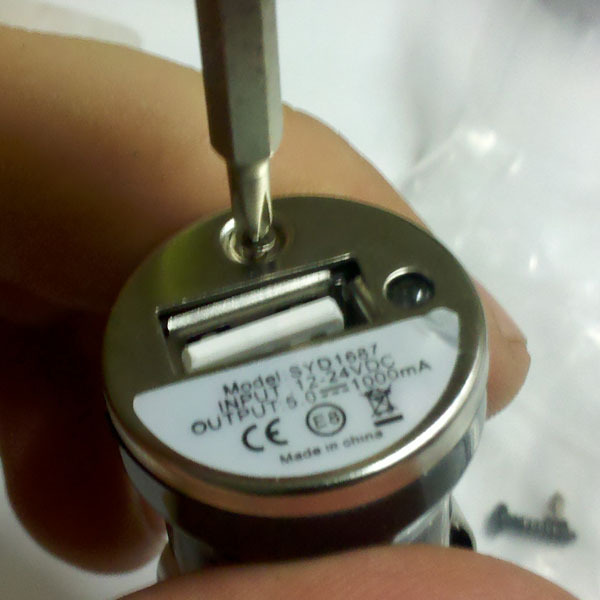 The R2 resistor shows R220, which is 0.22Ω. That between (0.3 / 0.22) /2 and (0.33 / 0.22) / 2 = Iout Max. Maximum output is 680mA to 750mA. Ain’t that a pita. Same thing in mine. The maximum that regulator can output without an external switch is 750mA, in pretty much all version/manufacturers. THEY LIED! this was everything i expected it to be. get many complements on it. love it, cant wait to get another one. An Apple Lightning to USB cable has Designed by Apple in California and either Assembled in China, Assembled in Vietnam, or Industria Brasileira on the cable about seven inches from the USB connector.